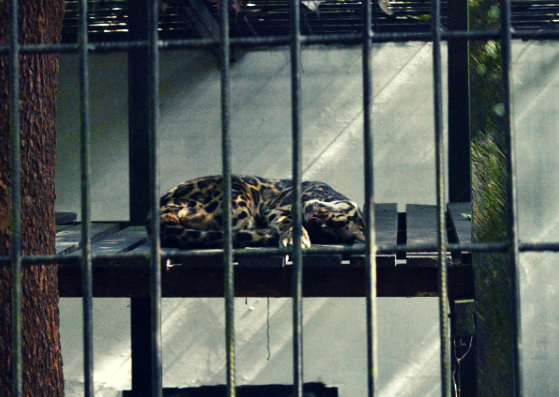 When you enter the place you will be told that this is not a zoo, and the guard will explain you that the aim of the centre is rehabilitating injured or abused wild animals. 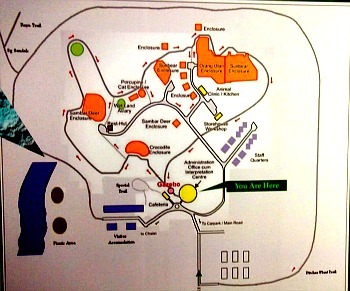 At the end of the path you will get to the biggest enclosures, the ones that are home to the orang utans and the sun bears, and just before that you will pass in front of the clinic. 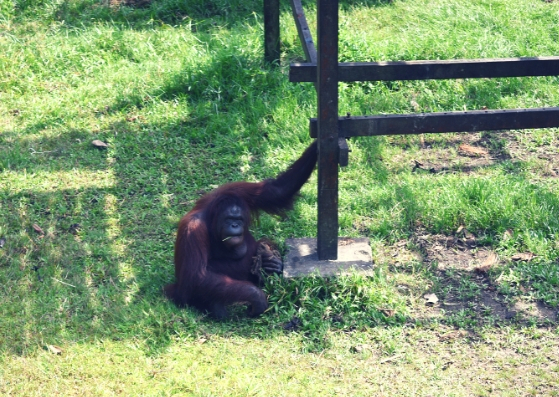 Some orang utans are also free to roan around, but we didn't see any. 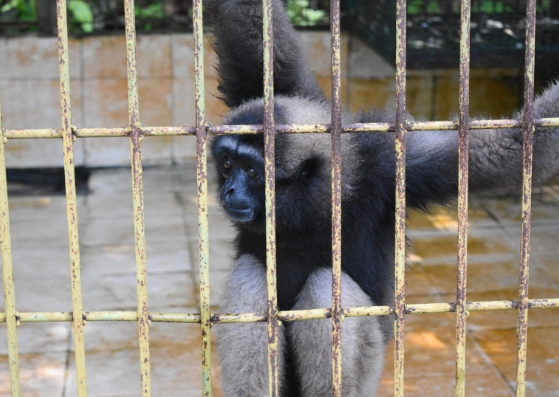 I want to be honest with you: I didn't get a great impression of Matang as I visited it: many of the cages are actually too small and there are no written information about the animals that are kept there (age, health condition, possible date of release...). Only the orang utans have an entire wall dedicated to their lives: every one of them has a full description of her/his story, I would have liked to see the same for all the other animals. What I liked most was the clinic of the centre: we couldn't get inside (obviously) but they had many cages with injured animals in the porch so we really had the impression that they are offering an important service to rescue them. Anyway, I understand that a visitor may actually get the impression that animals are kept around the path just to be desplayed. As I gatherd more information about the place I got to know that this is a necessary step towards the rehabilitation of abused animals, and many of them are then transferred to other centres (like Semenggoh) or, if possibile, set free. I also was informed that the centre is improving its facilities little by litte. 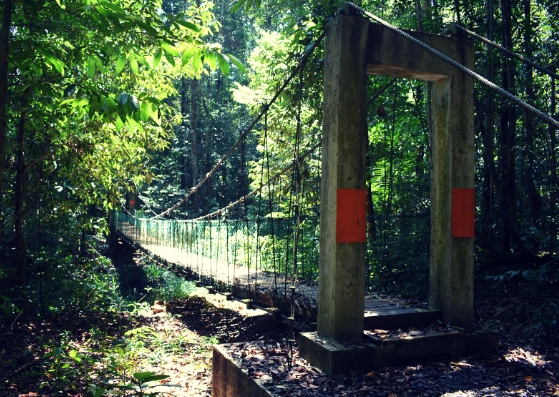 If you have enough time to spend in Borneo, I suggest you visit the 3 centres to have a clear idea of the difference among them: Bako, Semenggoh and Matang. If you only have a few days and you can visit just one or two you need to decide what you value most: every one of this centres will teach something different. After visiting the enclosures you can spend more time inside the park having a walk, hiking and visiting a smal waterfall. 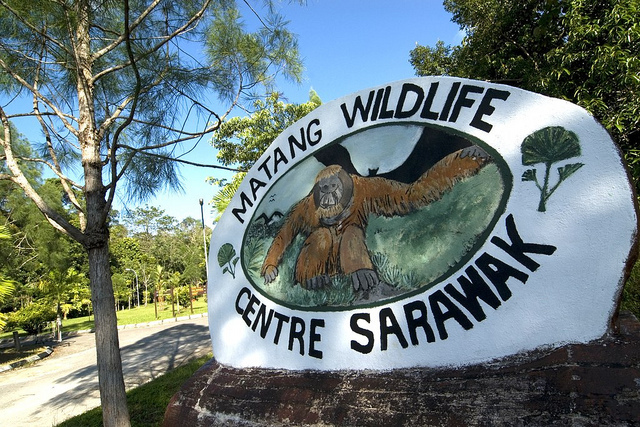 Matang Wildlife Centre is about 30km from Kuching City and it takes about 40 minutes to reach the Centre, we suggest you take a Grab. We suppose there is a cafeteria there but we didn't see it open, so I strongly recommend you bring your own food and drinks.